Great Custom Home shows pride of ownership.4 large bedrooms ,above ground pool, lots of fruit trees ,formal dinning and living room. High vaulted ceilings throughout. Backyard crossed fenced with privacy yard. Large storage shed included.Some furniture will stay. 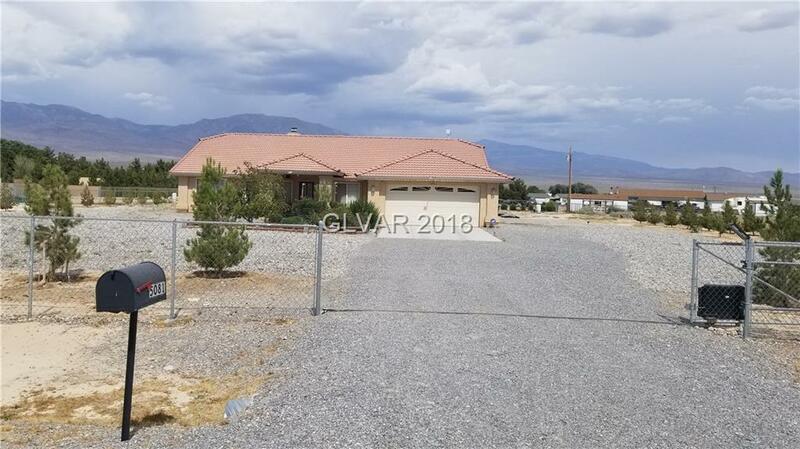 5081 Holly is a Pahrump HOUSE , with 4 Bedrooms & 3 Bathrooms. I want to go see this property in person! MLS# 2010487 at 5081 Holly . I have a question regarding MLS# 2010487 at 5081 Holly . The data relating to real estate for sale on this web site comes in part from the Internet Data Exchange program of the GLVAR MLS. Real estate listings held by brokerage firms other than this site owner are marked with the IDX logo. GLVAR deems information reliable but not guaranteed. Information provided for consumers' personal, non-commercial use and may not be used for any purpose other than to identify prospective properties consumers may be interested in purchasing. Copyright 2019 of the GLVAR MLS. Last sync on 2019-04-19 21:57:19.